Some trace the birth of science fiction back to Mary Shelley’s “Frankenstein” or to works of the popular Edwardian fabulist H.G. Wells, but it was the 1926 publication of a magazine titled Amazing Stories and its legendary editor Hugo Gernsback that popularized the form and nurtured many of the writers, unknown at the time, who have become icons of the genre. 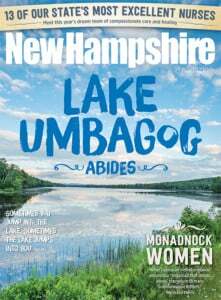 The magazine has had several lives since then, so perhaps it was not that surprising when a New Hampshire couple learned that the famous title of the magazine, which had been owned by toymaker Hasbro, was available to purchase as a trademark. They saw the potential and invested their savings to snap it up in 2008, rescuing it from becoming the title of a series of travel books. The couple, Steve and Karen Davidson, set out on a decade-long quest to revive Amazing Stories, but soon faced challenges from both NBC and director Steven Spielberg, who had developed a TV series from that magazine title. They weathered the worst of it until the most dramatic setback occurred with Karen’s untimely death in 2017. Steve persevered, and now the magazine is back in print, packed with exciting short stories and opening with an essay by science fiction master Robert Silverberg, who recalls getting paid $40 for one of his early tales that appeared in the pages of Amazing Stories back in January 1956. Steve says it’s the fulfillment of his wife’s dream and is just the beginning of the new chapter for the magazine and for his life. Visit amazingstories.com to follow him and Amazing Stories on their path to an uncharted, star-filled future, to subscribe, purchase posters of some incredible old Amazing Stories covers, or just to get updates.